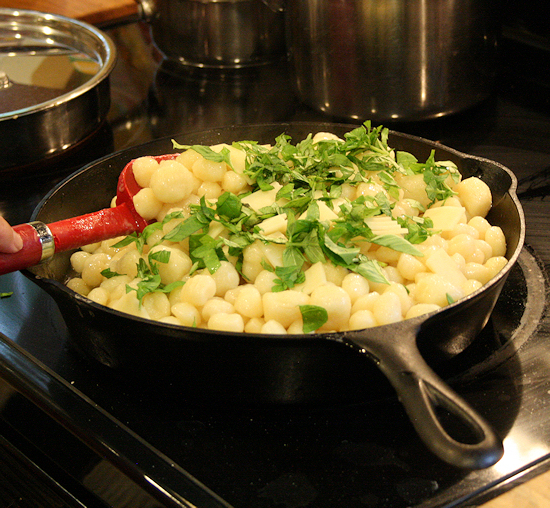 To say gnocchi is one of Heaven’s little gifts would put it mildly. These pillowy puffs of goodness are not only comforting but so versatile. These can be made into wonderful savory dishes or sweet with touches of cinnamon and sugar. I love it best Sicilian style. Now the traditional way is just brown butter and sage, a little salt and done. 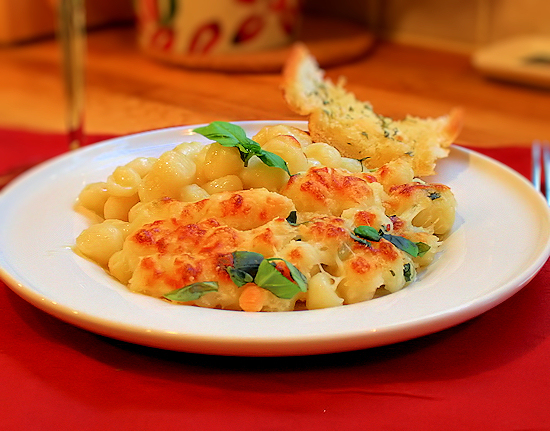 I like to take it a touch further and add cheese, garlic and fresh basil with the sage. This is my comfort food. 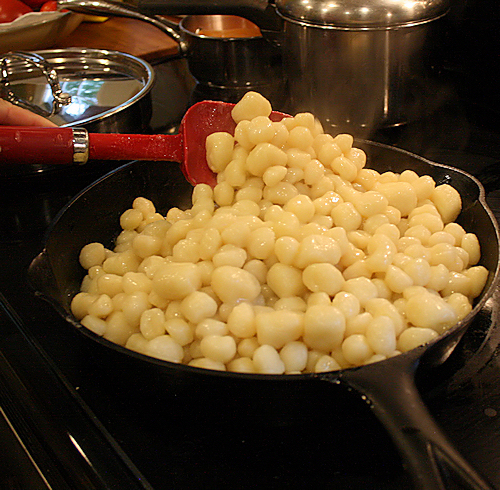 3 packs of 16oz gnocchi. I use Gia Russa which is available at most grocers. 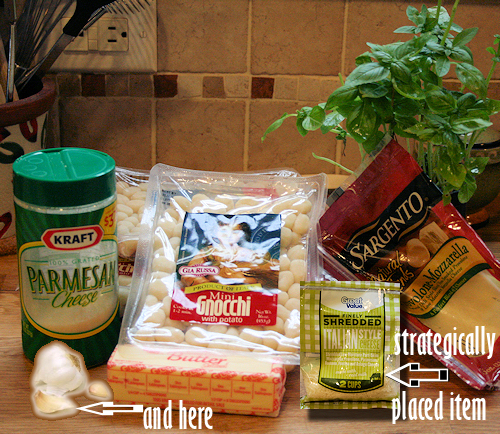 First thing I do is chop all of the fresh herbs, cheese slices and garlic then set them aside. 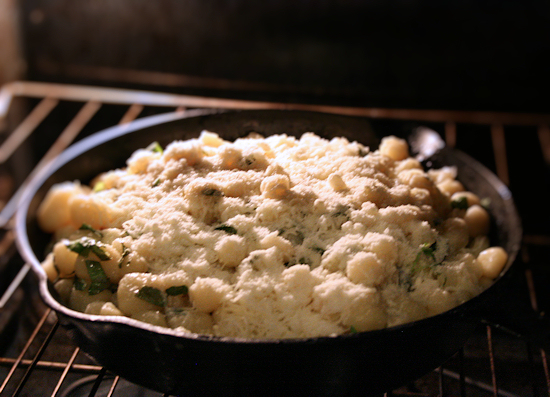 Next, get your gnocchi going. 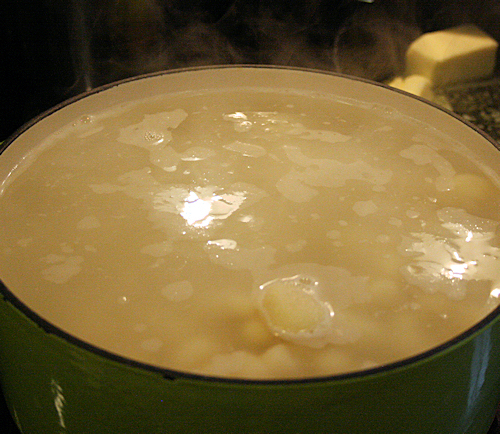 Let the water come to a boil in a large stock pot and add in the gnocchi once boiling. Take a large sauce pan, add your butter and let it melt. 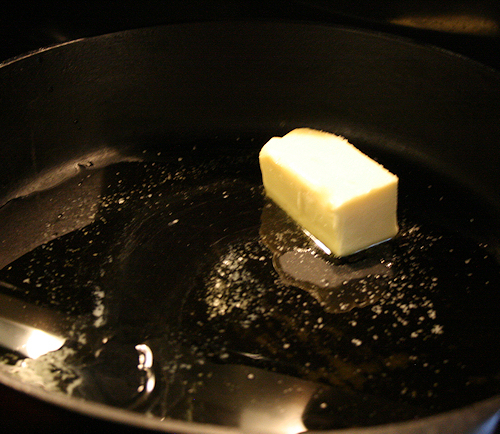 Medium heat until the butter completely liquefies and gets a nice color. 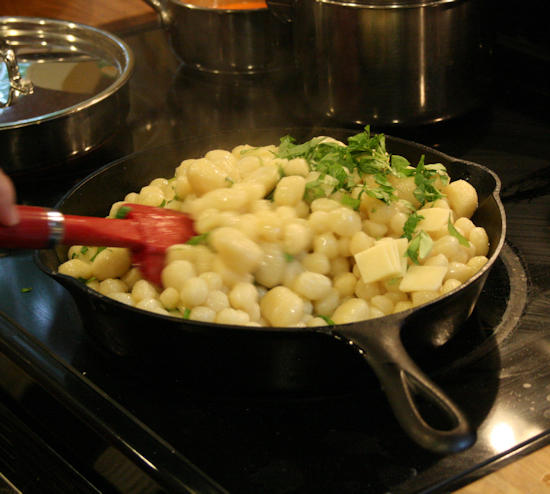 Sprinkle a little salt in the pan and add your garlic that has been nicely minced. 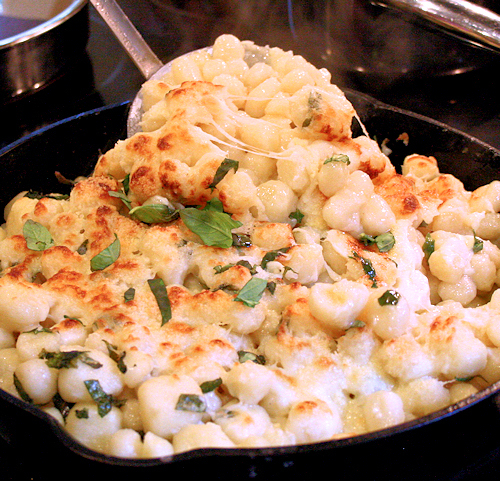 Do not let that garlic burn so add it at the end right before you add the gnocchi. 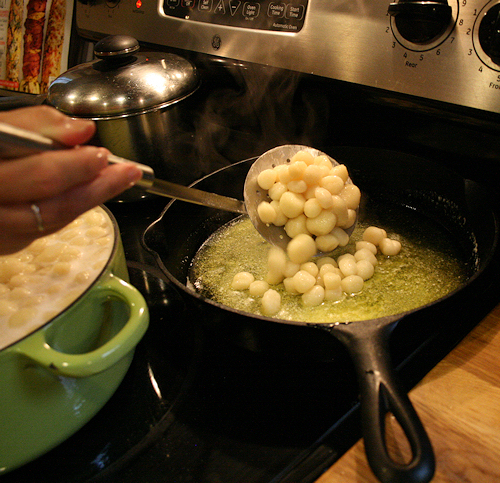 When your gnocchi begins to float on top of the water, you can begin to scoop them up and slide them into the butter and garlic. 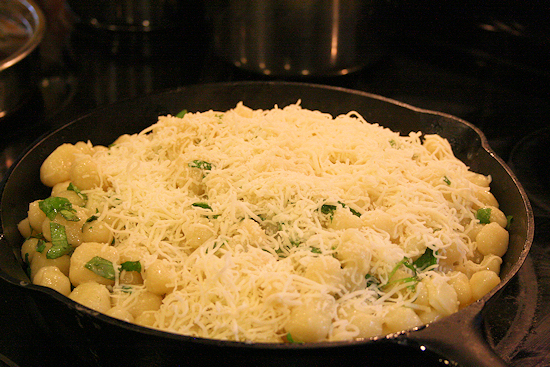 Once you add all the gnocchi to the pan, stir evenly to coat all the pieces with butter, saucing them. 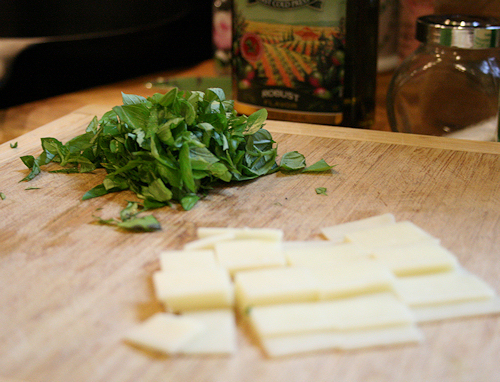 Next, add the cut cheese slices and fresh herbs. Stir and coat. This smells amazing. I love having this on a rainy day with a good movie on the couch. 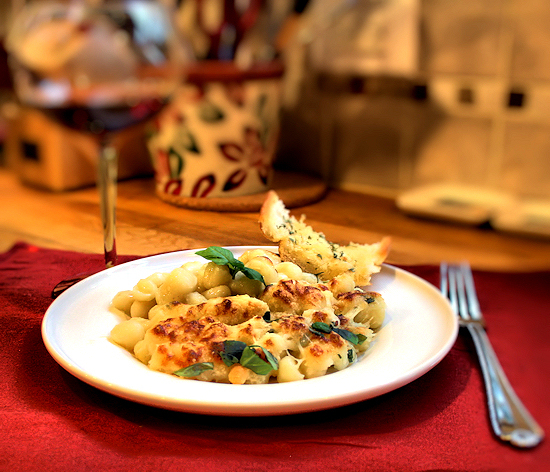 it’s a wonderful meal you can just throw in a bowl and relax with. Once you have gotten all these flavor incorporated, we are going to coat the top with the shredded cheese and brown the top in the oven with light broil. 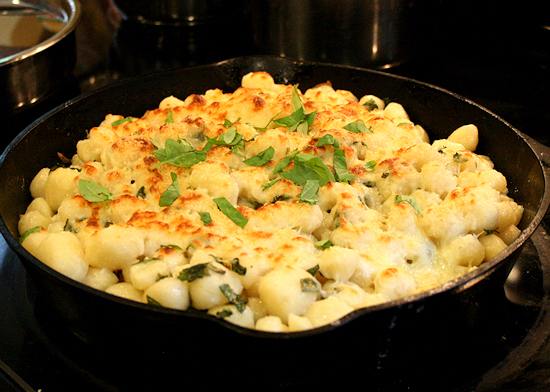 Put the broiler on low and watch the magic happen. The cheese makes this wonderful crust on top and just melts everything together. Take it out and start serving. Nice and hot is the best way to devour this.